Convergent Design made a big impression with their new Odyssey line of recording displays at the 2013 NAB show. The company, known mainly for their stand alone video recorders like the NanoFlash and the predacessor to the Odyssey, the Gemini 4:4:4, displayed a 7.7″ OLED display that promised 4K recording as well as 2K and HD formats. I placed an order shortly after NAB, and was hoping for a unit in September. Well September came and went without a shipment, but to their credit, they were still adding features to the design. My unit finally shipped the third week of December, and after a few days with it, I have decided to write a short review. 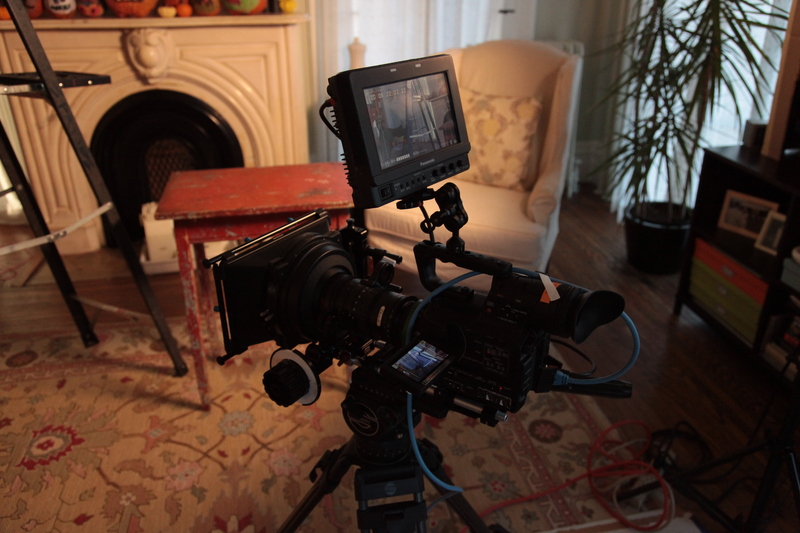 Previous to my receipt of the Odyssey7Q, I was using a Panasonic BT-LH910 monitor on my Canon C300 rig. This was tops at the time I purchased it, and cost about $4500. 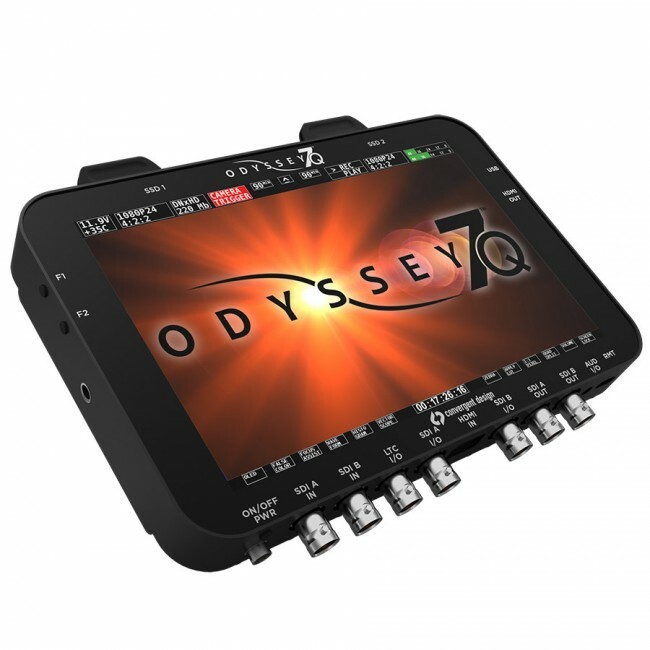 It is thick (about 3″) and heavy (3.7lbs) when compared to the Odyssey 7Q (1″ and 1.3lbs). While my primary use for the Odyssey7Q will be as a on-board monitor, I do think that having a ProRes recorder will come in handy. In fact, one of the features that was announced after i purchased was the multi-camera recording in HD. Up to four cards can be recorded simultaneously at 1080p resolution. In addition to the quad recording, CD has announced a switched record option for live multi camera jobs. The monitor itself is tremendous, with great picture quality even in bright light. The focus in red, and 1:1 pixel mode is very helpful in focusing with a large sensor camera, and the touch screen makes navigating easy. Should I need to record in 2K, or 4K modes, I have the option of purchasing the codec license online from CD or renting buy the day. This is a very flexible method that I think more manufactures will adopt. There are some bugs that I have run into, like the SDI trigger not working from my C300. I also found an issue when using the multi-cam mode. It seems that the SDI loops do not loop, instead passing the quad split output on the loop out. Overall, the Odyssey7Q and the 256GB ssd’s I purchased cost me about $3100. Certainly less than I paid for the 910, and I get not only a monitor but a digital recorder to boot.